Annaprashana is one of the sixteen Samskars carried out to the child. This procedure is done to introduce the child to the external nourishment. General practice is to feed the baby cooked rice mixed with ghee. 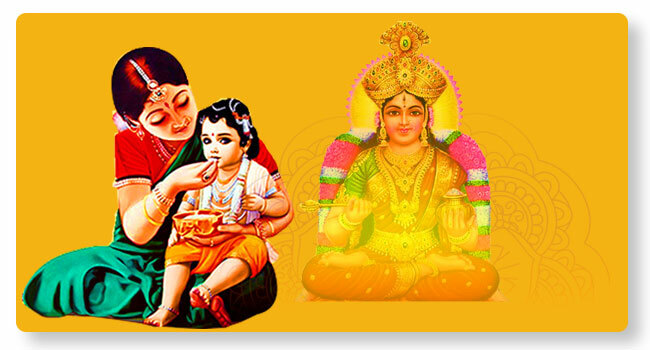 Naivedyam offered to the Griha Devata (Family Deity) and Annapurnadevi, performing Pujas seeking long healthy life and protection.